PFS Fire and Security are one of the East Midlands leading Fire and Security System installers with over 20 years experience we can meet all your requirements. We have a wide range of fire safety products for both domestic and corporate applications. 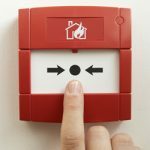 WHY IS FIRE SAFETY SO IMPORTANT? Fires affect thousands of companies each year resulting in injury, lost customer trust and building damage. By establishing a fire prevention and preparedness program, you can help avoid injuries to your employees and visitors, costly damages, and potential fines to your business. Below are some best practices to help prepare your facility for a fire emergency. 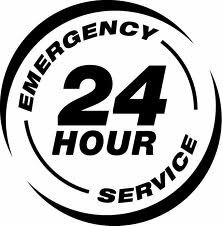 Preventative Maintenance on Fire Alarms ,Emergency lighting & disabled refuges systems. WHEN DID YOU LAST TEST YOUR FIRE ALARM SYSTEM? Under the Management of Health and Safety at Work Regulations 1999, every employer is required to carry out a risk assessment to identify the risks to people who enter the employer’s premises; the employer is required to take measures on the basis of the risk assessment to safeguard building occupants. These measures need to include the provision of safe means of escape. PFS fire and security ltd offer a wide range of fire systems from automatic detection to more bespoke systems. The choice of fire alarm system depends on the building structure, the purpose and use of the building and current legislation. In new or altered buildings the enforcement body is the local building control. The main standards for fire alarm systems is BS5839 pt1:2013. Building regulations stipulate that any building that is more than 1 story and used for commercial use must have a disabled refuge area. This area should be in place for those who cannot make use of normal means of escape during an emergency. These areas also should be equipped with two way communication.This is where PFS Fire & Security LTD have a specialist team ready and waiting. PFS offers you with the right security solutions that meet your needs and budget. With a wealth of experience in providing security and fire systems, we ensure that you are safe from harm. Our solutions are cost-effective and designed to save you money by making sure your home, office or premises are protected against intruders, attack, fire and exploitation.